Merry Christmas from all at EFA! Dear EFA blog readers, as the year draws to a close, it is time to take stock. Admittedly this year has been a very busy and exciting one for us – we have cried, laughed, but above all, grown and gained a lot of experience. The team has grown, the property ownership also and unfortunately that ugly T word that hangs over all of us, the Tier too. We would like to thank you for your support and hope we can continue doing so in the future as our projects develop in size and complexity. Next year will certainly have a lot of new and interesting items, events and projects. We cannot wait! On this note, the team and I would like to wish you a very Merry Christmas and a Happy New Year! We have a lot more to do together. Agency offices and facilities will be closed until the 2nd of January 2008. Blog posts will also be stopped for this period. Apologies for the picture of only yours truly, but as some people had already left for vacation, the full team picture was impossible, so it was either all or una *chuckle* We wish you all the best and until next year! Ciao ciao! The winning entry was submitted by Annabelle Fleury. Well done Annabelle, you win L$ 1000, plus feature on the blog and in monthly publication. Its a December contest so I looked for an atmosphere in a winter surroundings. I found this at a dancefloor in open air and I especially was fond of the way the DJ was using his skills to perform the best of music! Maybe his big joint helped with that! I’m now a year in SL and I work as a runwaymodel since half a year and I’ve gained a lot of experience in walking fashionshows. I’ve also been in a videoclip and did photoshoots for fashion in a shop. I love fashion and being busy with modelling and thats also the reason why I participate in this contest. 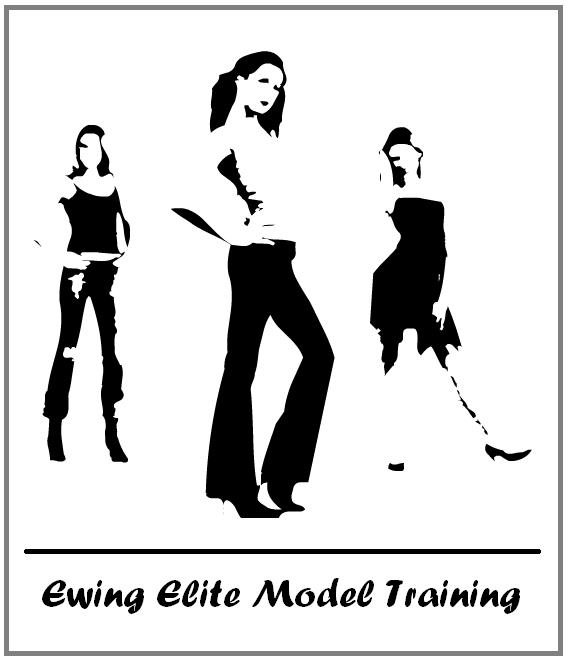 Next Ewing Model Training Course starts in January! January marks a new year that is fast approaching. What’s your New Year’s resolution? Do you have a passion and drive for modeling? 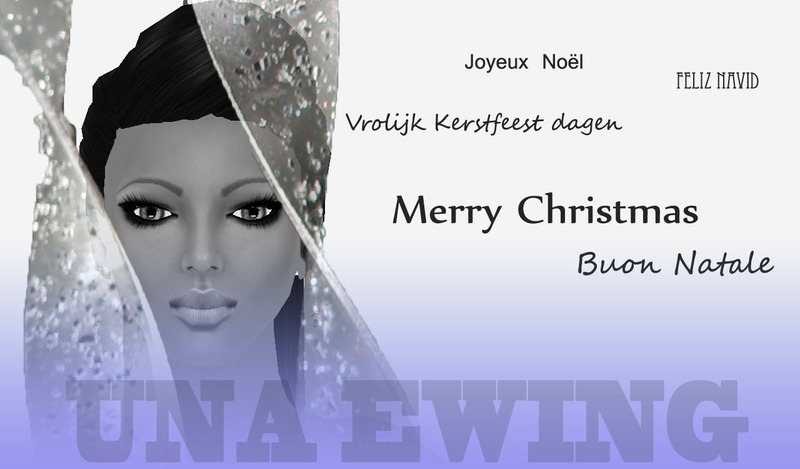 Modeling classes start on January 7th to the 18th, starting at 11am SLT. Interviews for applicants will be taking place very soon! If you are interested in being interviewed, you will need to join the group ~* EWING TRAINING WAITING LIST *~. Information on upcoming interviews will be announced there. The interview usually takes about 30 mins. We want to make sure that we are the right school for you and you are the right student for us. Those who are accepted will be selected and invited to register for the modeling training course. When you attend an interview, go as if you were attending a casting call. Wear your favorite outfit and your best hairstyle and show us that you are model material! We look forward to meeting you! Callie Cline is not only a fashion icon in SL. As a designer, business women, photographer and model, it seems her talents are endless. We caught up with Callie this week to find out about this busy lady’s past, present and upcoming projects. Callie Cline: My rez day is (looks on profile) 7-10-2005. I began business in an informal way as a photographer for the owner of the black library, wandering yaffle, he was my first SL friend, and I think I bothered him so much, he sent me out to take photos. Haha. He encouraged me early on to build, and make stuff and tried to teach me. After 5 minutes, I told him, NO WAY I am gonna ever make stuff. He’s an amazing person and also was the person who encouraged Nicky Ree and Ace Albion of Aces Spaces. My “clothing” biz began quietly in I think April of 2006 with one wall in Kiana Dulce’s shop. My first things were tables, candles and rugs, all with skulls on them. I thought it’d be fun to have an all skull themed shop, so my first outfit was “skullicious”… and I made about 12 skull outfits… then sorta thought, hmmm, I’m bored with skulls on to glitter… and so on… (before I did clothing, I did photography, logo design and was a decorator too). Harriet Gausman: What inspires your designs? Callie Cline: Everything from objects in my home, collections of fabric I own, music, nature, my imagination, childhood memories of my favorite clothing and what I did to them with scissors, beads, leather, often to the horror of my mother. Harriet Gausman: Five words to describe the brand values of Callie? Callie Cline: Passion, excellence (meaning the best I can do, not perfection), Inspired, Integrity, Servant Leadership. Harriet Gausman: You were the brains behind Motorati Girlz, tell us a little more about this? Callie Cline: It was a way to engage women in the Motorati community in a fun and light way. Sort of cheerleaders for the various events. Harriet Gausman: Have your efforts to attract more women to the world of cars in SL paid off? Callie Cline: Yes I think so! Perhaps not in a “get under the hood” sort of way, but in fun ways, and working with people on Motorati like “ask patty” and being able to send women to her I think helped. Harriet Gausman: It must have been thrilling to be picked for the Maxim Hot 100. Callie Cline: It was very thrilling although equally hard to believe. Still is. I often open the mag to see if my photo is really there or has been “logged out”. They recently added a link on their site to the motorati girlz blog, it was supposed to be my blog, so that will be changed, but that was surprising to me to see “learn more about caLLie here” on the Maxim site. Harriet Gausman: How did this come about? Happy holidays everyone! My name is Angie and this is my first entry on the EFA blog. I hope you like it. I love a beautifully made sweater. If a sweater is designed the right way it can make you feel warm and special and at peace with the world. The shape of a sweater and the way it is knit can give you a whole new attitude. I love my blue cardigan, the sleeves are unique and stylish and add a little extra swing to a diva’s walk. For a little aesthetic depth I put a basic black turtleneck underneath, and borrowed a gray wool skirt from another outfit to bring the cardigan and the turtleneck together. A pair of tights that are the perfect shade of black, and some cheeky Mary Jane’s that I can‘t get enough of. I paired the outfit up with a short and sassy hairdo, a pair of fabulous shades and pearl earrings to finish it off. So fashionistas, pull those knits out of your closet, use your imagination and have fun! The Fashion Job Mall: For all your employment and staffing needs! Setting up and running a business is no easy feat and selection of the right employees is part of the challenge. This is true in the real world where one does need money too buy not only luxuries, but bare necessities such as food and clothing, but perhaps even more pronounced in Second Life where food is not an issue and the choice to work is really more of a choice than a necessity. When looking for employment, where do you go to find reputable organiations with a good track record with whom you can grow and rest assured that come payday, they will not have gone AWOL (with you wages) and for the numerous employers and designers who are now choosing to staff their shops with customer service assistants, because it does pay to offer a certain level of service, where do you go to find people that you can rely on to represent you brand and values, who will not teleport to the nearest party sim the moment you log off. This service is of value to any person or organisation looking for trustworthy help i.e. photographers, personal assistants, designers to create custom pieces, writers, bloggers, adminitative staff, PR and promotions people, models, agencies, events planners and so forth. Just launched, the EFA Jobs Mall is meeting place between employers and job seekers. 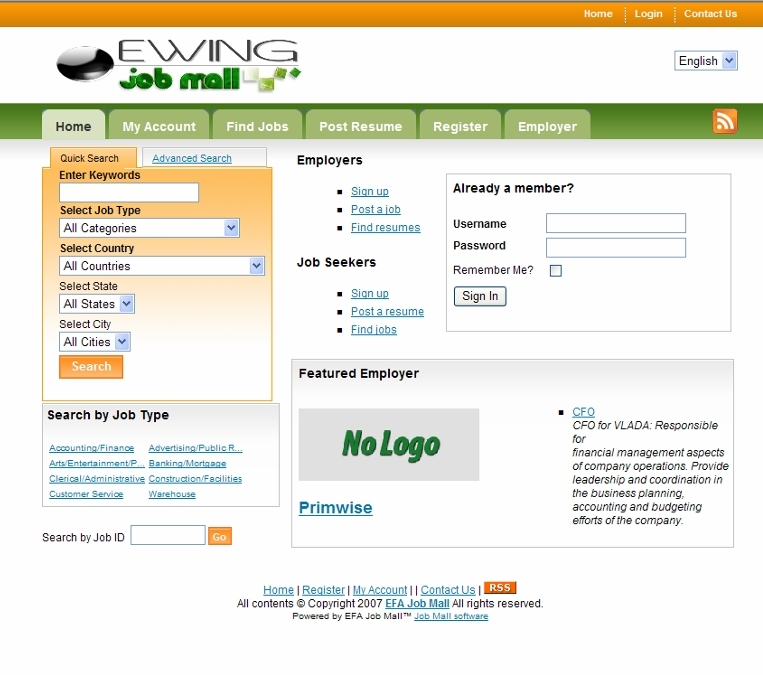 Employers can post jobs and browse resumes, view applications and respond to applicants. Applicants can find work, browse employer profiles and register their interest in positions all without leaving the site. Use of the site is absolutely free for job seekers and new employer registrants get a 20 free post selcting the 5 for 30 days offer. Visit the Jobs Mall Now! If you read the previous O La La! Sacré Bleu post, you will at this point be painfully aware that I am blogging the same outfit (or should I say a variation of) within the same week. Its simply not done, right? O Well, sacré bleu! I loved the silver gown that I acquired at the French Gallery, that I decided to see what it would look like paired up with a pair of low hip huggers, some shades and the ultimate accessory – that accessory being my sweet white persian cat called Valentina. Et Voila! Parisienne city chic! Anyone familiar with Paris can relate to how the ladies work the “less is more” thing – effortlessly adorable! C’est Magnifique!